Nitrous Oxide, sometimes called ‘laughing gas‘ has been used in cosmetic dental offices for over a century, because, in many ways, it is an ideal sedative. It begins to work swiftly, but then wears off as soon as the patient stops inhaling it. Breathing nitrous oxide assists in creating warm tingling sensations and a feeling of euphoria. Oral Conscious Sedation.take longer to work than nitrous, but produce a calmer state for many distressed dental patients. Triazolam and diazepam are common oral sedatives used in dentistry. These sedative medications are routinely prescribed by physicians for anxiety, insomnia, and muscle spasms. NuCalm. NuCalm is a drug-free alternative to sedation. It’s a great option for those who are looking for something to alleviate their anxiety, but don’t want to take any medication whatsoever. NuCalm uses several techniques to stimulate the body’s natural relaxation ability. At Designer Smiles in Fargo, patient comfort is among our top priorities. 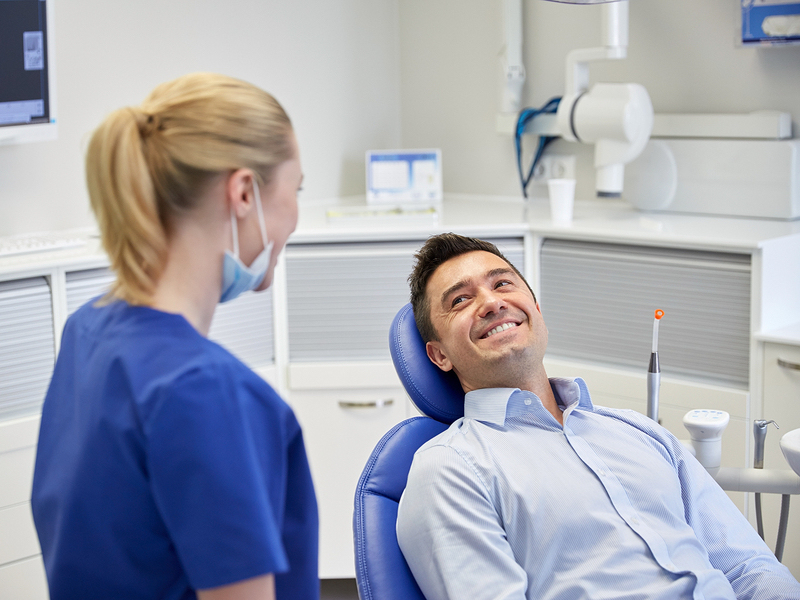 We offer a wide range of general dentistry services. Make an appointment with us today!